The events team and chefs start the day at 7:30am. The kitchens are quiet, but there is electricity in the air as preparation for this evening’s Ambassadors’ Dinner gets started. There’s a big conference in The Mansion, so the team are running the conference, whilst setting up for this evening’s festivities. “Suzanne, Karen and myself wanted to say thank you so much for such a lovely and memorable evening last Thursday. We hosted the dinner at The Mansion in Roundhay Park – an intimate affair, with 12 guests and 4 hosts. The theme for the dinner was Spring, a celebration of new life and longer days. 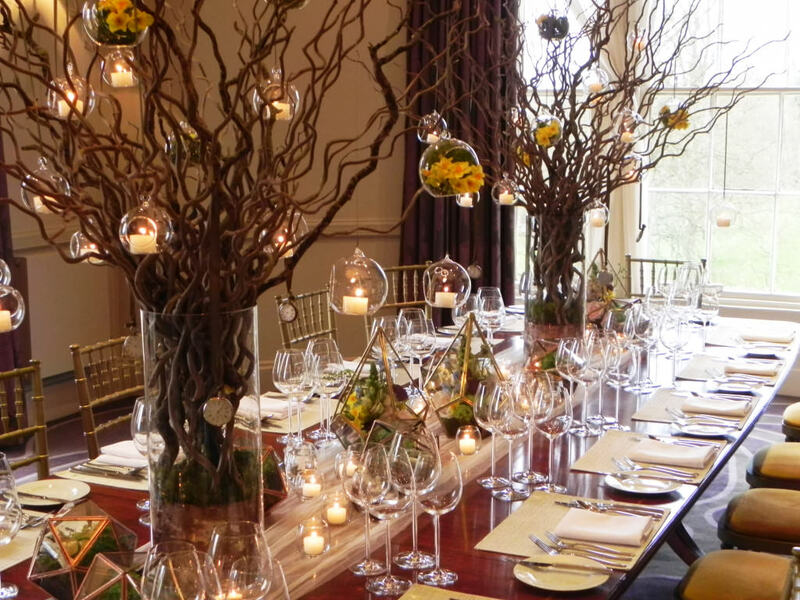 Twisted Willow dressed the table; transforming our very beautiful Fountain Room into a marvellous Spring display. Hanging glass balls filled with daffodils, candles and vintage pocket watches imported from France, on the willow branches. Positioning terrariums with vibrant spring blooms on the beautifully laid table. The evening kicked off at 7pm. 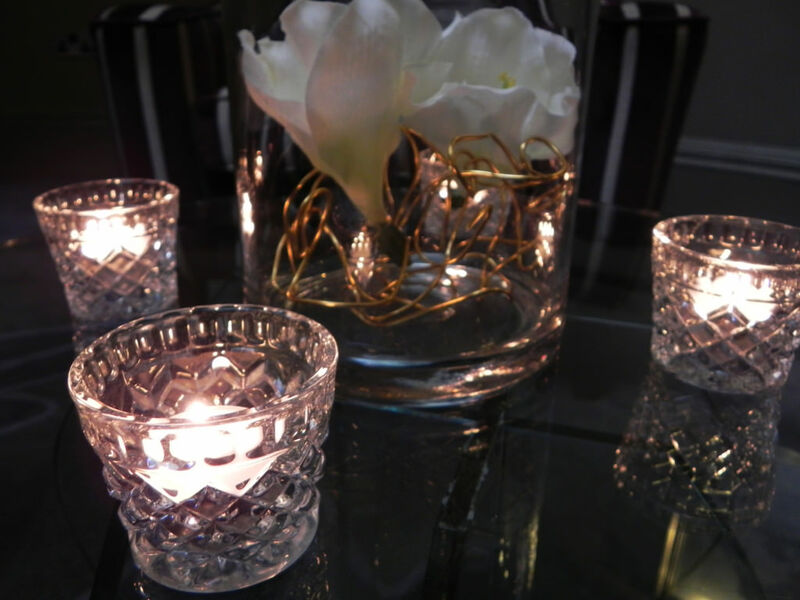 Guests arrived through the lantern lined entrance and were greeted with canapés and a glass of fizz. 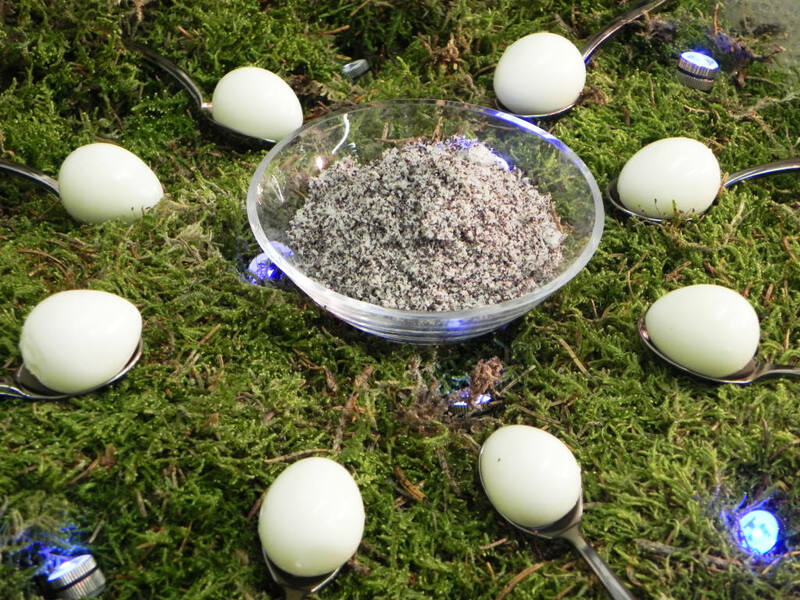 Canapés were; Truffle Risotto, served in a porcelain egg shell with a little spoon – topped with black truffle shavings. Hard Boiled Quail’s Eggs, served on mini spoons that were sitting on a tray of moss, with toasted sesame salt for sprinkling and finally, Tempura King Prawns in sesame batter with sweet chilli dip. At 8pm we then accompanied our guests up to the dining room, where we were seated for dinner. The table certainly set the scene for the evening, the flowers, terrariums and twinkling tea lights were simply beautiful. 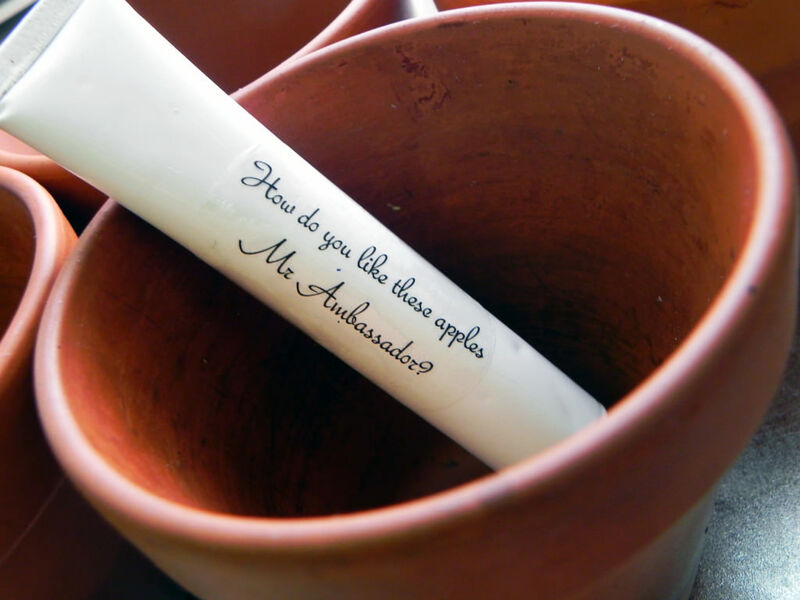 We all quickly noticed that there were edible elements of the table decorations for us to explore – Terrariums filled with herb gardens, tiny terracotta plant pots filled with butter and little tubes of apple sauce. To start we served Tuna Niçoise – tuna carpaccio, mini tuna scotch egg, potato & fine bean tîan, cucumber jelly, tapenade & tomato bubbles. Our guests took great delight in picking micro herbs from their terrarium gardens, to sprinkle on their starters. The wine selected to accompany this dish was; I’Ormarine ‘Duc De Morny’ Picpoul de Pinet, Coteaux du Languedoc – a French white. Main course was Pork Fillet wrapped in pancetta with sage fondant potato, black pudding & slow braised pork croquette, bramley apple, baby toffee apple, parma ham crisp, and crackling skewers. We encouraged our guests to take a tube of the apple sauce from the terrarium to complement this dish. 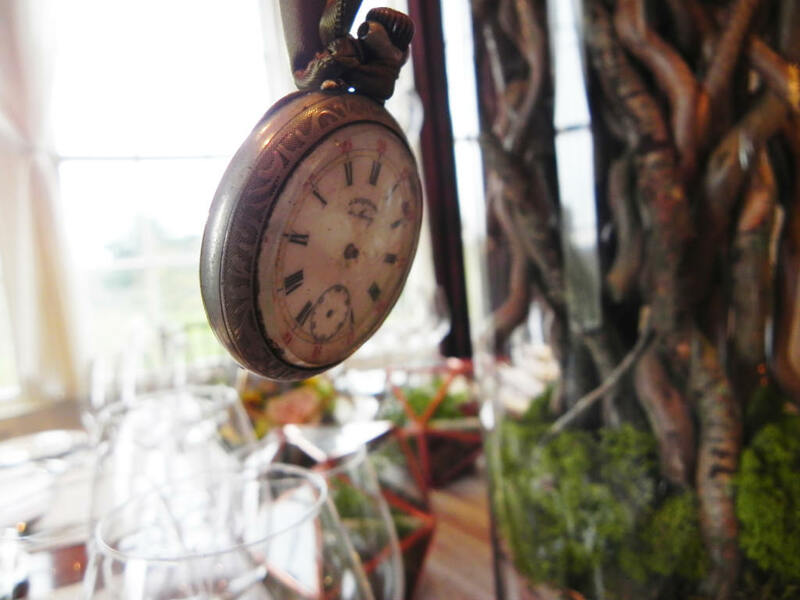 They loved this detail – some even popped it in their hand bag to take away as a keepsake from the dinner! The wine selected to accompany the main course was; Louis Jadot Moulin a Vent ‘Château de Jacques’, Beaujolais – a French red. The grand finale!! A Dark Chocolate Shell, with marshmallow and mango custard centre. To act as a toasted soldier, was a caramel based biscuit rolled in pistachio. 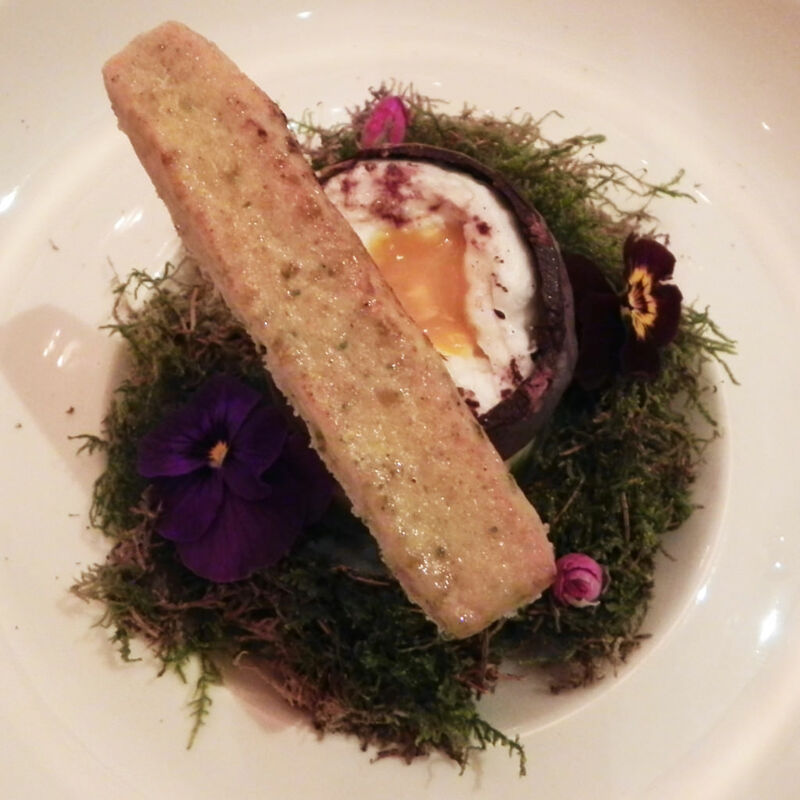 The chocolate egg was sitting on a base filled with chocolate mini eggs, surrounded by moss, decorated with freeze dried pansies, with some dry ice to add some theatrics to the dish. It was all deliciously spectacular. We were then given little jewelled trinkets containing lime sherbet, popping candy, meringue and edible glitter, to sprinkle on our eggs. The Ambassadors’ Dinner, without doubt, showcased perfectly what we do here at Dine. 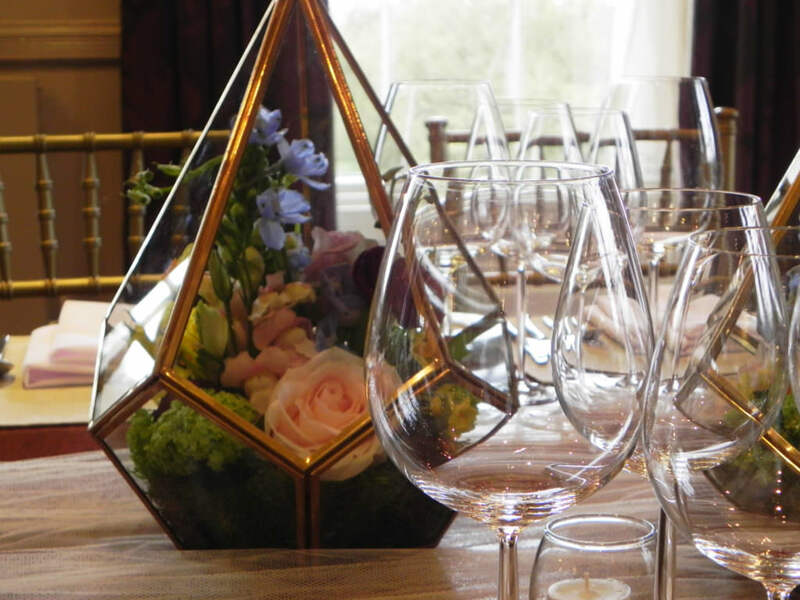 Our team are experts in the hospitality and catering industry and are well practiced in turning events and menus into extraordinary experiences. What we do here is an art, truly making every event special….